Does Ethnicity Play a Role in Autism? Although boys are more likely to be identified with Autism Spectrum Disorder than girls (one in 42 boys diagnosed compared with one in 189 girls), does ethnicity also play a role in the incidence of autism? A 2011 study entitled, “Autism and the African American Community” found that the rates of diagnosis for autism occur at the same rates in all racial groups, although diagnosis in African American Children occurs later than in White children. According to the CDC, the majority of children are diagnosed with autism at around 4 years old, while African-American children may be diagnosed as much as 18 to 24 months later. This delay in diagnosis is crucial as the early years of a child’s life are a critical stage in brain maturation when the development of basic social and language skills occurs. Early treatment of Autism Spectrum Disorder can reduce symptoms in childhood and increase long term success into adulthood. Dr. Adiaha Spinks Franklin, a developmental behavioral pediatrician at the Texas Children’s Hospital and Baylor College of Medicine, has studied regressive autism and ethnic differences. 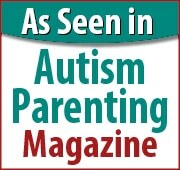 Regressive Autism involves a loss of speech and social skills in a child that was developing typically. Dr. Franklin found that regressive autism is twice as common for African American children as for white children. Dr. Franklin also found regression rates 1.5 times higher for Hispanic children than for white children. Does the difference in regression rates reflect differences in genetic, cultural or environmental risk factors for autism? Currently, there is no concrete evidence that indicates any particular risk factor for regressive forms of autism. Clearly, more research is needed in this area of autism and diagnosis rates and treatment needs to improve in certain ethnic groups. Most likely, multiple indicators play a role and delayed diagnosis and access to medical resources is impacting the condition.